You can purchase the complete kit ($100) directly from us or purchase your own materials. Our students receive a discount from any of the art shops listed above. 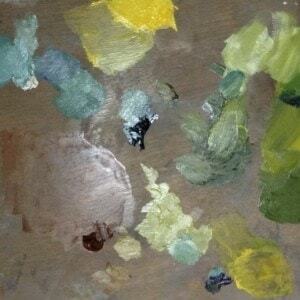 Fitzroy Painting for Beginners recommends oils for beginners. We also have a hire kit available for beginners for $50. (We supply everything you need for the duration of the course). 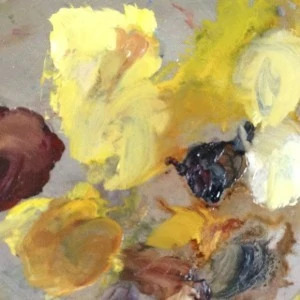 The Fitzroy Painting kit contains 5 tubes of Artist Quality oil paint, Langridge oil painting medium (low-odour, low-toxic), a set of brushes and a palette knife. Alternatively, you can shop around or you may already have some paints. The following list will be sufficient to get you started; you may wish to add further materials as you go. We use low-toxic, low-odour mediums and solvents in the studio as part of our OH&S safety program. Brush cleaning solvent, artists soaps and paper towelling are provided for student use. Try to buy reasonable quality materials as you will find them easier than student quality to work with. 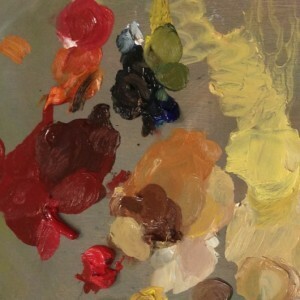 There are plenty of artist quality materials that are not much more in cost. A range of flat brushes, one each of sizes 6, 8, 10 and 12, one flat ‘paddle’ brush 4 cm wide and one small finer point brush. 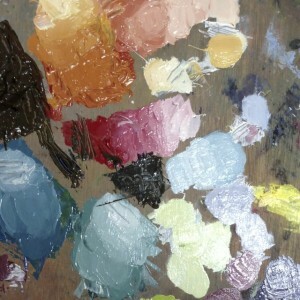 A palette knife for mixing colours. Fitzroy Painting acknowledges the Wurundjeri as the Traditional Owners of this country, pays tribute to all Aboriginal and Torres Strait Islander people in Yarra, and gives respect to the Elders past and present.